BIG, black (more correctly, the colour of milky coffee), beautiful, bright, brash and brainy. 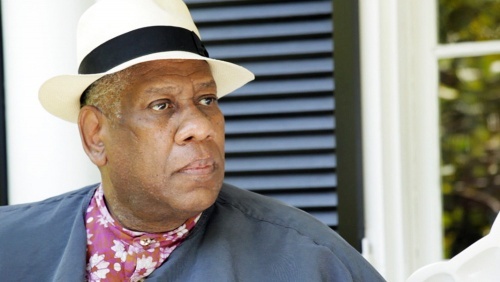 That alliteration of “b” offers a WYSIWYG summary of André Leon Talley, whose career as an observer and commentator on women’s fashion began in 1975 when he was 26. Kate Novack’s documentary, screened at the 2016 Toronto Film Festival followed by other festivals before public release eight weeks ago, observes the man, his career and his opinions with gentle restraint, joining docos treading similar paths in the same milieu. Its most significant moment comes with a brief observation about the world that he chose to inhabit after gaining an MA in French literature at age 23. Fashion is ephemeral, style lasts. That theme pervades the film. It’s less about the women in the lives of wealthy men or the creative stars who design their clothes than about garments that André finds worth commenting about in the pages of journals of notable repute. I leave Ms Novack’s film for women to evaluate. Its people from the upper crust of society mingle with fashion industry stars. The wisdom it propounds treats them all kindly enough. The garments it displays bespeak their original owners’ tastes before coming to hang in museums and galleries. And the man whom it affectionately honours bestrides it like a colossus.